This is an archive of our old website. For USED Parts please visit Good Appliance Used Parts Store or call (260) 563-0147. For NEW OEM Parts please visit Good Appliance New OEM Parts Store or call (877) 220-5370. For NEW Aftermarket Parts please call (260) 225-0731. 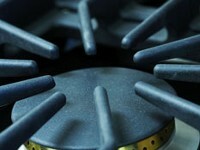 Good Appliance in Wabash, Indiana offers new appliance parts, used appliance parts, and used appliances. Good Appliance- new & used appliance parts. All used parts with a 90 day warranty, most of our new parts have a 1 year warranty, and free shipping! 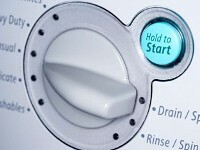 Good Appliance has many different brands of used appliance parts. We have in stock Tappan, Sharp, Maytag, Whirlpool, Fedders, Gibson, Jenn Air, Kitchen Aid, Panasonic, Kenmore, Fisher Paykel, Sears, Kelvinator, Frigidaire, Magic Chef, Caloric, Hotpoint, Amana, LG, Estate, GE, Electrolux used appliance Parts. All of our parts have a 90 day warranty and free shipping! Each Part was tested on the appliance it came from for the correct functionality before being listed. As for cosmetic parts we generally only list parts in great shape and clean them up very well. If there is any damage, scratches, abrasions, but we consider may still have use for someone we will clearly state in our product details the extent of wear and tear. We have great pricing on all of our parts, most of the time half of the cost of of a new part. We have parts for your range, refrigerator, washer, oven, dryer, microwave, stove, dehumidifier, window air conditioner, freezer, and sometimes more small appliance parts. We Appreciate your business and hope to continue to satisfy our customers with friendly service and great pricing. Thanks for stopping by our on line store. For local customers we have many different makes and models of used appliances. We get more appliances in all of the time so keep us in mind if your want to save some money on your next appliance purchase. You can contact our friends, Gidley Appliance, for any repair you may need on your residential appliances locally. This link is a page on their services. On their homepage you will find the contact phone number, or you can fill out a contact form, and a text will be sent to his cell phone. For appliance repair in Wabash, Indiana follow this link to their website. For appliance repair in North Manchester, Indiana follow this link to their website. For appliance repair in Huntington, Indiana follow this link to their website. If you just have questions on their services follow this link to there contact us page.